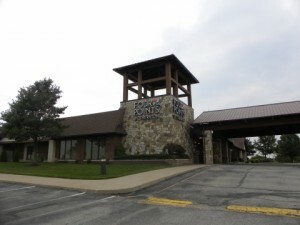 A fairly easy to get to hotel in Greensburg, off the PA turnpike. It does have many conference rooms which is where the wedding our musicians played at took place. It looks like a convenient place for guests who travel to weddings from out of town. Plus, the wedding and the receptions were next door to each other. It might not be the most enchanting place, but it is very practical. Although it is pretty far from Pittsburgh – almost two hours, this place has a great ambiance form 1800’s, a hidden jem in Pennsylvania hills. The wedding coordinator was probably the best I have ever dealt with. He was on top of things, had everything set up for the musicians, knew every step of the ceremony and when to cue us – it was fantastic! It always makes our job easier when people such as him are involved. 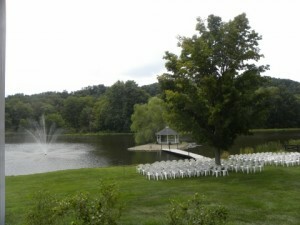 The fountain was also gorgeous, a beautiful spot for a wedding ceremony!